We ditched the glass and kept the ease of gas. Don’t let looks fool you. Our new Legacy may look like a traditional wood fireplace, but beyond the surface, it’s anything but old-school! Establishing a completely new category of fireplaces by launching the first-ever gas fireplace without a glass front, the Legacy TrueView offers the authentic ambiance and unobstructed views of a wood-burning fireplace with the easy, one-touch operation and efficiency of gas. With a large, 42- by 28 ½-inch open viewing area, it’s easy to be mesmerized by the Legacy’s robust flames and LED accent lighting. But don’t let the large flames fool you: the Legacy comes equipped with WhisperTone, a patent pending venting technology that controls the heat output, keeping it in a comfortable mild range, meaning you can enjoy your fireplace year-round without running the risk of overheating your space. 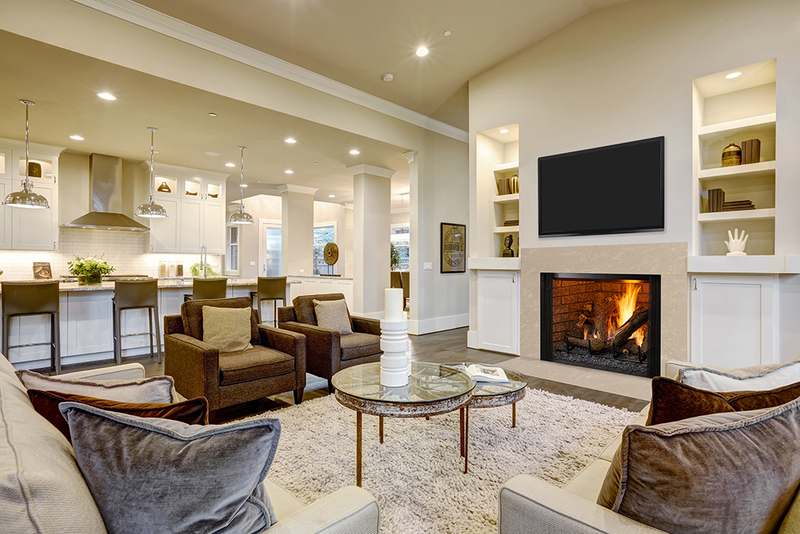 WhisperTone also allows you the capability to safely hang a TV a mere 12 inches above the fireplace without a mantel so you’re no longer required to choose between a beautiful fireplace and TV entertainment in your family’s gathering space. And with two interior options—weathered brick or eye-catching herringbone—the Legacy can integrate seamlessly into any desired design style. 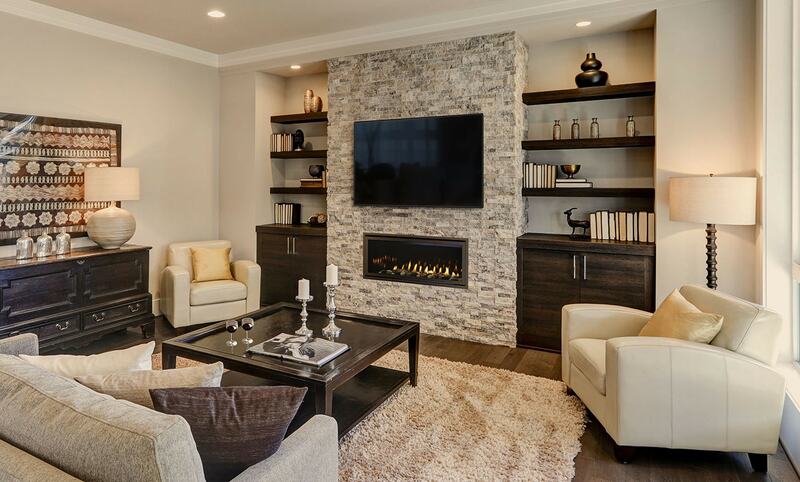 Top-down accent lighting adds ambiance to the fireplace experience, whether or not the fireplace is on. As the no. 1 preferred fireplace brand by builders, we remain committed to making dependable products that are not only easy to use, but also simple to install. Unlike a traditional fireplace that requires a masonry chimney and yards of large vertical venting, the Legacy terminates horizontally—freeing up the space you’d need to run vent vertically and eliminating thousands of dollars in labor costs. (Curious about exact installation specs, including depth, framing details and more? You can find them all here!) And when it comes to operation, our IntelliFire Touch remote control makes starting a roaring fire as easy as tapping a single button—no more hauling heavy logs and fiddling with kindling. 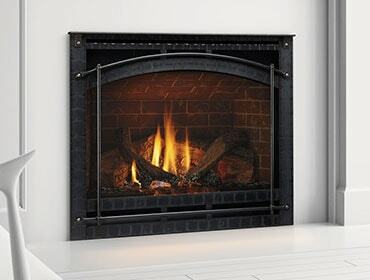 Ready to learn more about this industry first fireplace? Connect with an authorized Heatilator dealer near you for more information.